Background: What qualifies you for the position? What else have you run for? Have you been in public office before and if so, what position? I am a son of the community, Moanalua public schools and Yale University, with a record of community and public service. My leadership positions in The White House, United States Mint, and the Offices of Lt. Governor Duke Aiona and Representative Lynn Finnegan, equipped me with experience in government’s workings and shortcomings. I will be an informed, practical legislator, ready from the outset. This is my first run for public office, although I have served in numerous appointed government positions at the federal and state level. Major issues: What are the biggest issue in your district/state and your proposed solutions? Our district is largely comprised of seniors living on fixed incomes, working families living on a budget, and small businesses struggling to survive. The economy is our foremost issue. I will advocate for education reform to improve workforce preparedness, tax reductions to lower the cost of living, and economic diversification to grow our economy and generate quality jobs for our local talent. Budget philosophy: What is your budget philosophy? Do you foresee increases in revenue through tax hikes and fees or do you believe in cutting spending? Government, like individuals and families, must live within its means and on a budget. I oppose increasing the general excise tax because of its regressive nature and disproportionate impact on people. Individuals and families do not have extra money to keep up with continual tax increases. Government must share in the sacrifices of the larger community when times are difficult. Taxes and fees: Do you believe Hawaii’s taxes should be lowered or increased? If you do plan to raise taxes and fees, which specific taxes or fees would you increase? Or would you sign a pledge that says you will not raise taxes? Hawaii’s tax burden on individuals, families, and small businesses makes it almost impossible to live, raise a family, and run a profitable business. Taxes in general should be lowered to stimulate economic growth. I have signed the pledge not to raise taxes. I do not believe that Hawaii’s people can continue to pay more in taxes; the price of paradise is already too high. Rail: If the city has difficulty raising enough revenue for the rail, would you support state tax support for the rail project? Oahu needs to have practical and feasible solutions that mitigate traffic and congestion. Public infrastructure projects are of significant benefit, but they must be financially viable. Public infrastructure projects such as the rail cannot be a void into which we endlessly pour unlimited taxpayers dollars. If the city has difficulty raising enough revenue for the rail and begins construction, we must carefully evaluate the financial plan and the project’s viability. Legalized Gambling: Do you believe gambling should be legalized in Hawaii in any form and if so, in what form? I oppose gambling in all of its forms for Hawaii. The negative associated consequences of gambling, including crime and social damage, offset any of the touted economic benefits of the activity. Gambling is not right for Hawaii. The State has the creativity and the ingenuity to innovate and diversify our economy in ways that are not counterproductive to the interests of Hawaii’s people. Public Education: What are your plans to support the public education system while ensuring accountability and results for our students? Do you support an appointed or elected school board? As a product of the Moanalua public schools and Yale University, I know first-hand the power and promise of a public education in Hawaii. I fully support the public education system and believe that our public schools can thrive if given more autonomy in decision-making, setting of school policies, and management of financial resources. Correspondingly, greater accountability would accompany that greater degree of autonomy. Such a change not only ensures that funding goes directly to the classroom and individual school, but also provides for much needed flexibility to tailor the educational environment to the needs of the community and the student. I support an appointed school board for a more direct management hierarchy. Economic Growth: What are your plans to promote long-term economic growth for Hawaii? Improving our workforce preparedness by strengthening public education, focusing on expanded college-prep programs such as Advanced Placement (AP) and International Baccalaureate (IB) program as well as emphasizing STEM (Science, Technology, Engineering, Math) education. Reducing taxes on individuals, families, and small businesses. Reducing the costs of doing business in Hawaii & prioritizing small business growth since small businesses represent the backbone of our economy. Diversifying our economy by continuing to support the growth of industries where Hawaii has a natural and economically competitive niche such as defense, aerospace, aquaculture, diversified agriculture, and renewable energy. Crime: What is your solution to making Oahu a safer place to live and visit? In order to make Oahu a safer place to live and visit, we must continue to fight drugs, vigorously prosecute crime, and achieve a long-term, viable solution to Hawaii’s current homelessness problem. Law enforcement must be equipped and supported with the tools that they need to keep the public safe. Victim’s rights, the concept of restitution (monetary and non-monetary), rehabilitation, and appropriate penalties for habitual and violent offenders must all be incorporated into a successful public safety policy. Second Amendment: Would you support concealed carry or more freedom for law abiding firearms owners, do you feel the current laws should remain in place, or do you believe stricter gun laws should be in place? The Second Amendment is a long-established part of the U.S. Constitution. I do not believe that Hawaii requires stricter gun laws. Homeless: What is your solution to homelessness? The State must address homelessness by focusing on both homeless families and individuals. Implementing a strategy combining social services, transitional living arrangements such as shelters, re-entry programs including job training, counseling, and education can help alleviate homelessness. The State should also partner with non-profits and civic groups to address homelessness. Compact with Micronesia: Micronesians are able to freely move to Hawaii, which they are doing in large numbers to take advantage of the public education system, medical services and other government benefits. But the governor and other public officials say they are taxing Hawaii’s resources and costing the state more than $100 million a year. This is a federal decision, but would you share your view on whether the Compact with Micronesia should remain in place, should there be some parameters put on the Compact or do you have other solutions? The federal government needs to honor the obligations that it committed to when signing the compact. In these difficult budgetary times, many of Hawaii’s people rely on these social services. The State should continue to lobby the federal government to contribute its fair share to honoring the commitments that it made on behalf of the entire country. Additionally, the State of Hawaii should focus on transition programs that train, educate, and equip individuals to ultimately achieve self-sufficiency. 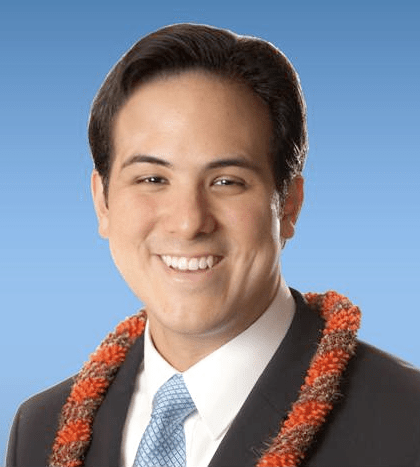 Akaka Bill: What is your position on the Akaka Bill? Do you believe it will unite or divide Hawaii? What is your vision for how the Akaka Bill will change Hawaii? I favor the preservation of Native Hawaiian programs and the perpetuation of the Native Hawaiian culture. I have concerns about the practicality of the implementing the Akaka Bill as currently drafted. Jones Act: Opponents of the federal Jones Act say it increases the cost of living in Hawaii through a shipping duopoly while supporters say it is needed to ensure port security and American jobs. While this is a federal decision, would you share your view on whether you support an exemption for Hawaii from the Jones Act or should it remain in place? I would support an exemption for Hawaii from the Jones Act. More competition benefits Hawaii’s people both in terms of cost control and also in terms of increased choices and options. I was wondering if you ever took drama because I'm trying to save my school's drama class and I'm thinking of choosing you. Also, could you please reply at Hawkekid1@gmail.com?